At the request of Mayor Annise Parker in March, The Harris County District Attorney’s office launched an investigation into allegations that METRO officials illegally destroyed public documents. The allegations were first raised in a lawsuit filed by Houston attorney Lloyd Kelley. He accused METRO officials of shredding documents that he asked for in an open records request. The controversy surrounding the lawsuit, led to the termination of METRO general counsel Pauline Higgins and eventually the resignation of METRO President Frank Wilson. The Public Integrity Division of the Harris County District Attorney’s Office completed its investigation into allegations that employees of METRO were destroying public documents and failing to comply with open records requests in violation of the Texas Public Information Act. From early March to the end of June, 2010, evidence was examined and witness testimony was developed, some with grand jury assistance. A careful analysis of all of this information led to the determination that there was no evidence of criminal wrongdoing by employees of METRO concerning the Texas Public Information Act, nor was there any evidence that any METRO employee had knowledge of the destruction of public records. The investigation has been closed. At midnight – Lois measured 24” around the opening. At 8am this morning, she measured 28”. While she is opening more and more, there is no stench yet except for whiffs now and then. She is taking much longer than we originally thought —- as you all well know! We will be changing the backdrop to white later today so that people will be better able to see Lois and her colors. 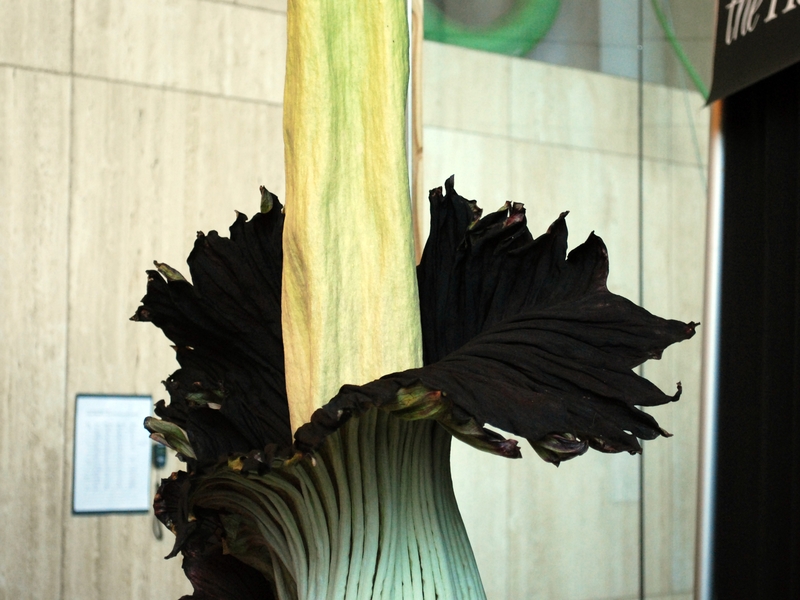 I’ve posted two pictures to help you get an idea of the slow progress that Corpse Flower Lois is making at the Houston Museum of Natural Science. The first photo is one I took on July 7. The second photo was taken by the museum. What do you think? Can you tell the difference? Museum Photo below taken on July 20. While she’s still teasing us, Lois has opened about 3” over the course of the day. While we are not saying that Lois has started the blooming process, we do want to say that Lois has made significant progress today and has taken one more step in the right direction. The museum is going to stay open 24 hours to give people an opportunity to see this next stage. We will also be posting photographs on our blog shortly. Please note that this progress cannot be seen on the webcam as she has opened up on the other side. 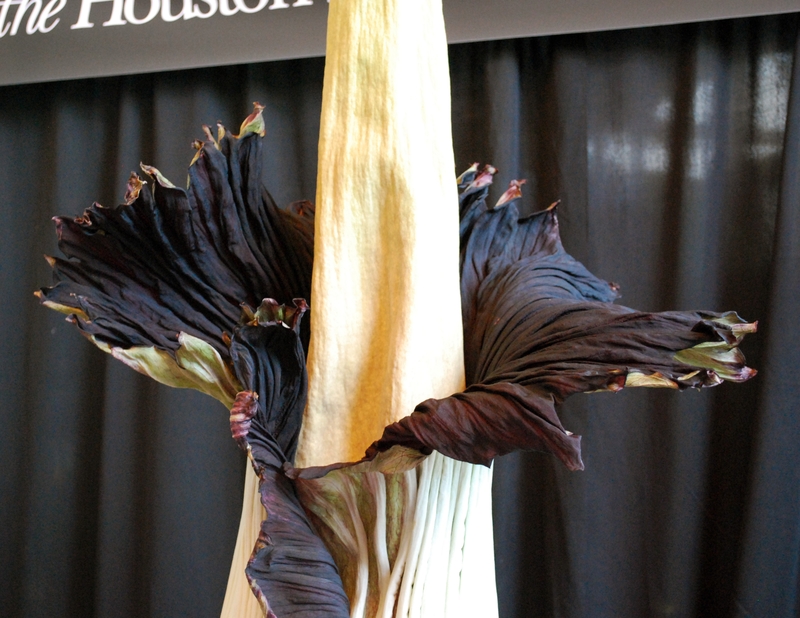 We can see dark purple and some red on the inside of the spathe – much more than was previously possible. “I am voting ‘no’ on the nomination of Solicitor General Elena Kagan. “The votes of this Committee on nominations to the U.S. Supreme Court are among the most consequential votes we cast, because these are lifetime appointments. “Each Senator must carefully study the nominee’s views and reach a decision as to whether to endorse that nominee for a seat on the High Court. “In my view, that decision must be based on a standard of excellence. To be confirmed, a nominee must establish that she would adhere to a proper judicial philosophy. The nominee must establish through her testimony, through her judicial and non-judicial writing, and through her experience, that she would exercise the judicial power of a Supreme Court justice with a deep understanding of both judicial restraint and the need to enforce our written Constitution. “Elena Kagan falls short of that standard. “Solicitor General Kagan’s testimony before the Judiciary Committee did not assure me that she agrees with the traditional understanding of the proper role of a judge. “Judges should strictly interpret the written Constitution, which means both enforcing written limitations on the scope of government power, such as the Second Amendment and the Commerce Clause, as well as not inventing new rights or imposing their own policy views on the American people. “Ms. Kagan’s testimony about her judicial philosophy was vague and open to multiple interpretations. “I was also troubled by her testimony in specific areas of law. “I assume this is another example of how she believes “new conditions and new circumstances” justified a change in the law – in this case, gutting the foundation of the federal government as a government of limited power. “I was also troubled by Solicitor General Kagan’s testimony on the Second Amendment. “She recognized that the Supreme Court’s precedents in Heller and McDonald v. City of Chicago were existing law. She also referred to those cases as ‘settled law.’ But her testimony made clear that ‘settled law’ has no particular meaning. “Settled law” just means the law until a new majority comes along to ‘unsettle’ these decisions by overruling them. “We saw the same trick with Justice Sotomayor’s testimony on the Second Amendment. Last year, she testified that Heller was “settled law.” But last month, she joined a dissenting opinion in McDonald urging it to be overturned. “The Second Amendment is too important to rest on such an empty promise. “Finally, I am troubled by Solicitor General Kagan’s testimony on military recruiting during her time as Dean of Harvard Law School. Her refusal to allow the military to recruit on campus just like any other employer reflects an effort to stigmatize the military. It suggests a nominee who has values that are out of step with those of the American people. “Every Supreme Court nominee bears the burden of proof of establishing they deserve the trust of the American people for a life appointment to the high court. In my view, Elena Kagan has not satisfied that burden of proof. 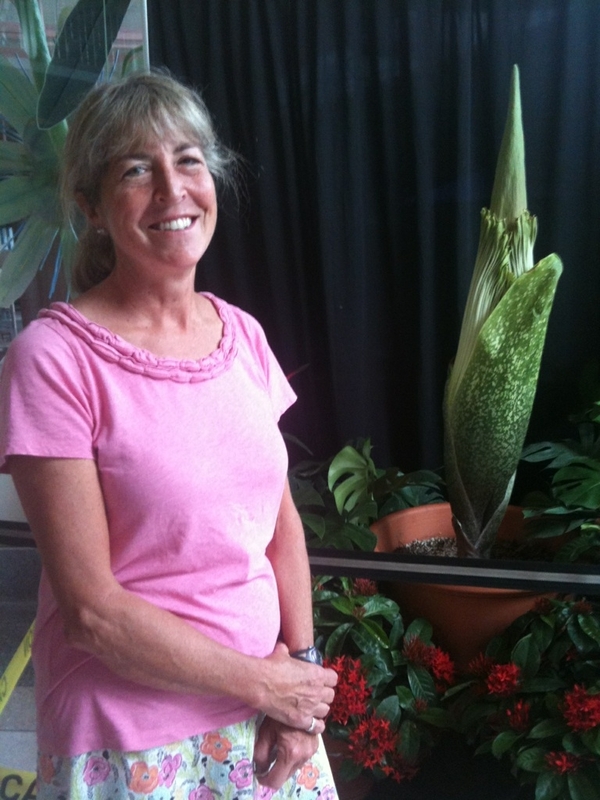 Corpse Flower – It’s Time To Bloom or Bust! 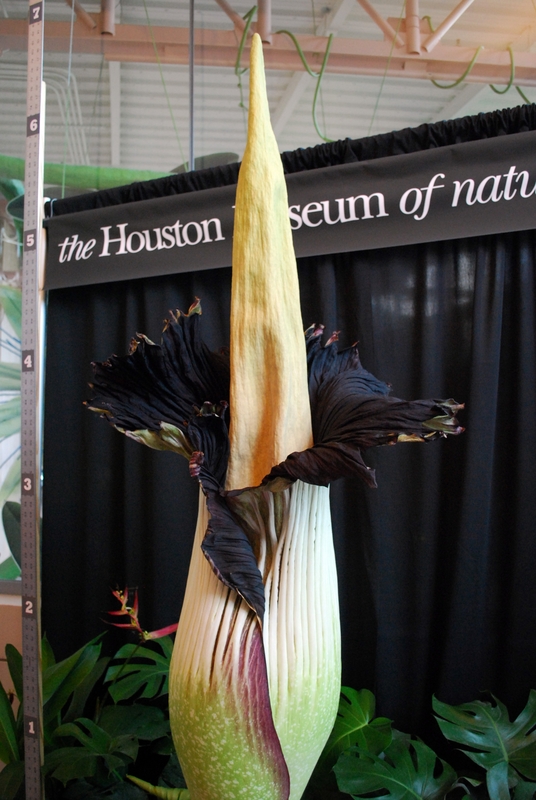 The world is still waiting for the Corpse Flower to bloom at the Houston Museum of Natural Science. This morning 2 On The Beat received the note below. It explains what the staff is doing to nudge “Lois” along to fully blooming. 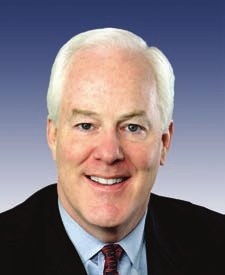 The NASA Reauthorization Bill was passed by the Senate Commerce, Science, and Transportation Committee, which Hutchison serves as a ranking member. According to the Mayor’s statement, the committee’s proposal would reauthorize funding for NASA for three years, preserving 80 percent of the jobs that would have been lost at Johnson Space Center (JSC) under the administration’s proposal. It also extends the International Space Station program, managed at JSC, and funds a shuttle replacement program along with a continued investment in commercial space ventures. More details about the bill are available on the Committee’s website. She also noted that the legislation must now be passed by the full Senate, the U.S. House of Representatives and would require the President’s signature. U.S. Rep. Sheila Jackson Lee (D-18) admits she misspoke when she referred to “two Vietnams” during a speech on the floor of the U.S. House of Representatives on Thursday, July 12, 2010. The Congresswoman was making a point regarding the war in Afghanistan, when she made the glaring error several times. She has now issued a statement clarifying her remarks, which you can read below, but she is also urging people to focus on the original intent of her message instead of the mistake. I’ve also posted the video link in case you missed it. Having spent the last week in Afghanistan visiting our resilient and dedicated soldiers and civilian reconstruction teams, I have a renewed appreciation for their dedicated and committed service to our nation. I thanked them when I was in Afghanistan, and I thanked them again on the floor of the House yesterday, Thursday, July 15, 2010, in my special order. However, as I recognized their commitment to our country and expressed our pride in the work they have done in helping the people of Afghanistan, I have come to the conclusion that it is important to have a date certain for their departure from Afghanistan by the months of June or July of 2011. I want the war in Afghanistan to end. Additionally, I would like to celebrate, along with our nation, our soldiers as heroes, and I would like them to return home to this great country and their wonderful families ready for new opportunities. That is simply what my special order on the floor yesterday was about; plain and simple. Nevertheless, some have decided to make an issue of the example that I used, in my special order of five minutes, regarding the Vietnam War. If there was any reason to raise a point of concern, it was probably because I misspoke and did not add the phrase, after my discussion of North and South Vietnam, that “the nation was united as one.” However, my point is still accurate, and that is that the war between North and South Vietnam is similar to Afghanistan, in that those fighting against each other were Vietnamese and now the country lives as one Vietnam. However, it is South Vietnam that was consumed by North Vietnam and governed by the policies of North Vietnam. Allow me to cite for you the Congressional Research Service which has, on its 2010 website, this description of Vietnam: “Vietnam is a one-party, authoritarian state ruled by the Vietnamese Communist Party (VCP), which appears to be following a strategy of permitting most forms of personal and religious expression while selectively repressing individuals and organizations that it deems a threat to the party’s monopoly on power. Most observers argue that the government, which already had tightened restrictions on dissent and criticism since 2007, intensified its suppression in 2009 and early 2010.” That definition confirms my statement on the floor. Although we fought a bloody war, losing 58,000 soldiers, Vietnam remains, today, a communist country. In rushing to finish my statement in five minutes, I may have left out the fact that Vietnam is one nation today, but that does not diminish my point that we have a similar situation in Afghanistan: where American treasure is being spent even after crossing the point when the transition of leadership and military control should be placed in the people and the Government of Afghanistan. America lost 58,000 soldiers because the policies followed by our federal government worked against this nation declaring a victory and encouraging the world to work with Vietnam toward being a democratic state and thereby saving the lives of so many Americans. I do not want to see that delay occur in Afghanistan and see more of our soldiers falling in battle and losing their lives. The cause for which we went to Afghanistan has been achieved, and now this is a war of insurgents. This will ultimately have to be resolved by the people of Afghanistan. The way to solve this problem, as I see it, is to demand that the central government of Afghanistan provide the necessary services of security, electricity, economic opportunity and education to its people. For this to happen, the NATO allies must work to improve the central government, they must work to help eradicate the poppy fields, and they must work to stamp out corruption. Some of the International Security Assistance Forces can provide technical assistance and help build up the Afghanistan National security forces, but it is now time to bring our soldiers home in a timely fashion and no later than June or July 2011. That was the reasoning of my special order of yesterday, July 15, 2010, and this attack on my words reminds me of what happened to those who were opposed to the Vietnam War. Their words were attacked rather than listening to the substance of their message. As for me, I will not stand silent, but rather I will give voice to the many families in America whose loved ones have lost their lives in Afghanistan. They deserve our respect, gratitude, and the acknowledgment that their loved ones did not die in vain. America must declare victory in Afghanistan and bring our soldiers home. At the same time, we can sustain that victory by continuing to provide technical and civilian humanitarian assistance to strengthen the people of Afghanistan so they can have a better quality of life. We owe the families of our fighting heroes no less. Now is the time to call upon the Afghan government to take charge and build their nation. America’s national security will be the better for it. I believe my special order yesterday was very clear. Should You Sleep With Your Cat or Dog? Don’t take my word for it, you can hear the pros and cons of sleeping with your pet during a seminar at Rover Oaks Pet Resort this coming Saturday. I’ve posted the information below. The $25 fee for the seminar benefits pet rescue groups. Here’s my personal experience – whenever I share the bed or couch with my dog, Fuzzball, (which isn’t every night. really!) he fights for space on my pillow or starts whining in the middle of the night and won’t stop until I rub his belly or take him outside for a walk. That’s probably more information than you want to know about me, but I think sleeping with your pet makes it really tough to get a good night’s rest. (Houston, TX) – July 12, 2010 – Pets have become such an important part of our everyday lives. Pets have a prominent place in our homes and even our beds. Sometimes there is nothing more comforting than cozying up with your furry companion in bed at night, but is there an actual benefit to sharing the bed with your pet? Rover Oaks Pet Resort is hosting a Pets and Sleep Seminar to highlight the challenges and benefits of co-sleeping with your pet as well as ways in which assistance animals are helping those suffering from sleep disorders. pediatric nightmares; and how humans might negotiate the sleep environment with their pets. Dr. Rose has been involved in the sleep field for more than 20 years. She is an Assistant Professor at Baylor College of Medicine and also holds affiliations with M.D. Anderson Cancer Center, the Houston VAMC, and American Sleep Medicine. “Our relationship with the family pet has been changing dramatically,” says Dr. Rose. “Co-sleeping with animal companions has become the norm in many households. Though the benefits of bonding, comfort and feelings of safety to both pet and human is great, co-sleeping may also adversely affect sleep for some. Understanding the challenges and benefits of co-sleeping may help negotiate the family bed with one’s pet, and ensure a good night sleep for all,” says Dr. Rose. The fee for each seminar is a $25 donation to Schnauzer Rescue of Houston, the Poodle Rescue of Houston or to Canine Companions for Life. For more information or to sign up for the seminar, call Rover Oaks at 713-662-2119 and select option 6 to speak to a representative.